Awhile ago I loaded up the FM2n with Rollei Crossbird Creative Edition film. It is very, very green. That is okay, but not a good suggestion for landscapes . . . green and then some. Anyway, it is an interesting film, and when there is red in the image, and blues or turquoises, the color skews are not unpleasant. This is one of the two I liked as far as color from the roll. 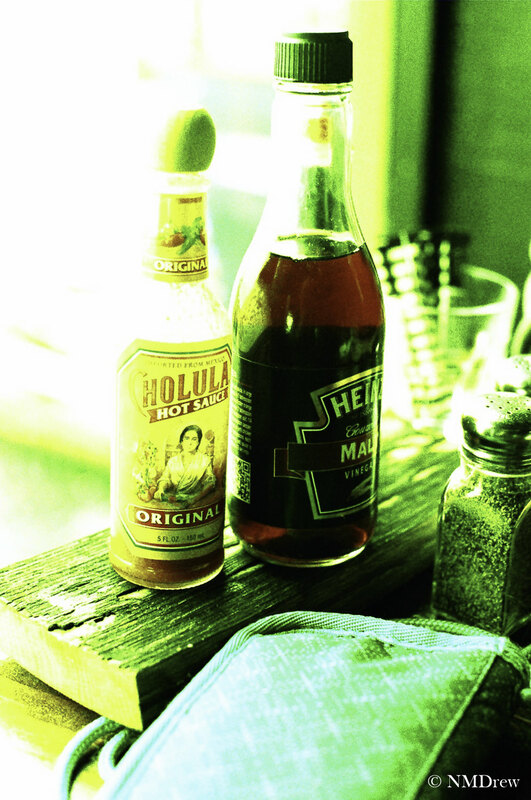 This entry was posted in Glimpses and tagged "photography", condiments, Crossbird, film, Nikon 50mm f1.4 AI-S, Nikon FM2N, Rollei, Rollei Crossbird Creative Edition. Bookmark the permalink.